Click on the "Print a Label" tab at the program website. Complete the return label form to print out your return shipping label. Drop off your return shipment, with the label attached, at any FedEx location to have the package delivered. 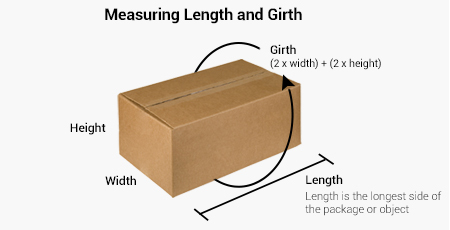 Please click here for more information on FedEx packaging guidelines. A Retail Website is a business that sells consumer goods to the general public on a regular basis via the Internet. A Retail Website does not include membership or cooperative buying organizations or clubs, charities, subsidized businesses, auction or classified-ad websites, or subscription rental programs. The destination for a return shipment must be a valid commercial address in the 48 contiguous United States. Shipments sent to residential addresses, P.O. boxes, or other non-commercial locations do not qualify for savings through the program. We will only provide savings on return shipping charges that aren't covered by the Retail Website. For example, if a specific Retail Website's return policy is to pay for any or all return shipping charges that its customers incur, return shipments to that retailer will not be eligible for return shipping coverage. Our program offers you savings on standard FedEx Ground shipping charges when you're returning an eligible purchase to an eligible Retail Website. We do not offer savings on expedited delivery services, insurance coverage for the return shipment, any restocking or other fees that a retailer may apply, or any other services or features, such as declared value, surcharges, premiums, accessorial charges, or special handling fees for the return shipment. The maximum liability for the shipment of any package via FedEx Ground is $100. The maximum liability for any package shipped using a FedEx Return Label created through Return Saver is therefore limited to $100. Please note that Return Saver does not offer insurance coverage of any kind, including but not limited to insurance on any extra declared values. Also, please note that our savings offer applies to return shipping charges alone; we do not and cannot guarantee that you'll qualify for or receive a refund or store credit on your purchase from the Retail Website. Please note that some retailers place shipping and other restrictions on certain products; you'll need to check the individual retailer's website to ensure that it accepts returns of your purchased product. In order to qualify for a purchase refund from a specific Retail Website, you must comply with that Retail Website's refund policy and procedures. Drop off your labeled package to a FedEx Office or FedEx Authorized ShipCenter location to be shipped. Please note that you will be eligible to receive a pro-rated refund of your paid annual membership fee if you cancel your membership before you (or any member of your household) ship any package using the program benefits. You are not entitled to a refund if you cancel after your program benefits are used. If you do cancel after using the program benefits, your membership will expire at the end of the current term, and there will be no future membership fee charges to your account. Otherwise, your membership will automatically renew at the then-current membership fee at the end of your membership term. From time to time, Return Saver may offer special promotions. Please note that all promotional start times and/or deadline use Eastern Time Zone (ET) hours. For example, if promotional material says that an offer will end at midnight on a certain date, the offer will end at midnight ET on that date; any action taken after midnight ET on the specified end date will not be eligible for the promotional offer. To cancel your membership, simply log in to the Return Saver program website, and click on the "Help" tab in the upper right corner of your screen. Then click the "Cancel" link, and follow the instructions provided. If you'd prefer, you can email us your request instead by using our "Contact Us" form, and our Customer Service Department will process your cancellation right away.